It‘s that time of year when some people try to abstain from eating meat on certain days of the season and if that’s your thing, I admire your restraint. As a Public Service for adhering to your periodic principals, we offer a Wedwand review of five fast food fish fares. I would have offered more, but after a while, you can only get so much batter down, as opposed to baseball where you want to get your batters up. Speaking of baseball, Opening Day is just around the corner. But, I digress. 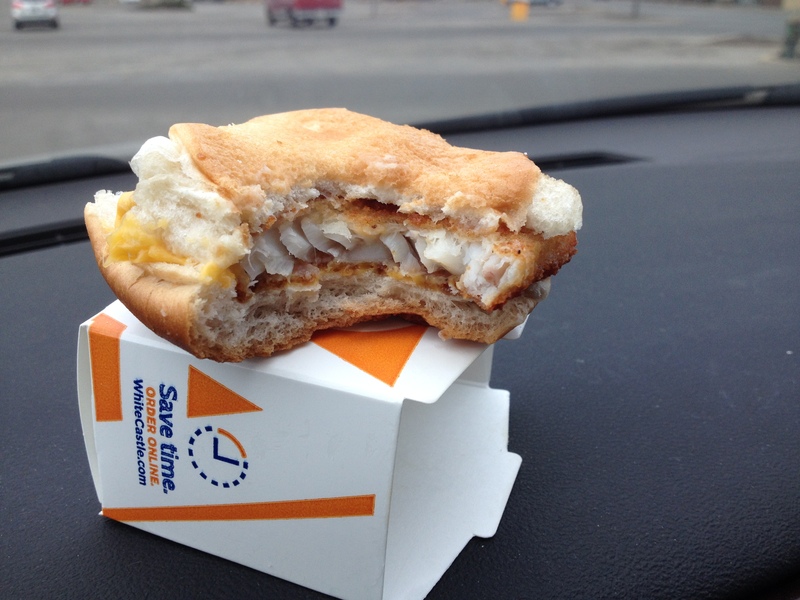 Their description: Lightly breaded, sailor-approved Alaska Pollock, served with a slice of cheese between two fluffy buns. Ironically, in the roaring 20’s it was quite the craze to swallow goldfish and let them slide down your throat. Coincidence? But, I also did not know this. None of the sandwiches at White Castle come with condiments ON them. They are all on the side. After choking down the two Goldfish, er Pollock sandwiches, I located the tartar sauce packages at the bottom of the bag. Wouldn’t have mattered though since I couldn’t pry the buns apart to sauce them up anyhow. Wedwand Rating: A generous 2 ½ fins. If you get that late night crave, stick with the burgers. 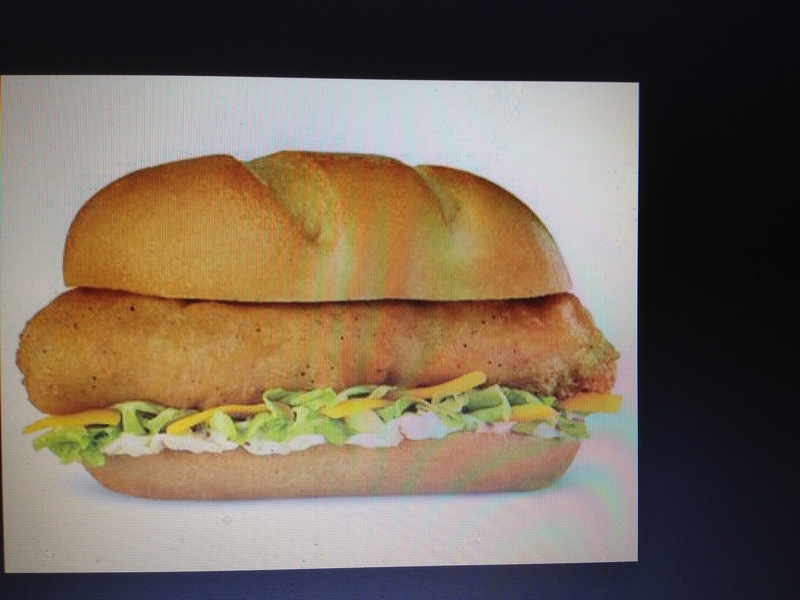 Burger King Big Fish Sandwich. Their description: 100% White Alaskan Pollock, breaded with crispy panko breading and topped with sweet tartar sauce, tangy pickles, all on top of a toasted brioche-style bun. Interesting fact. Many people think that Jonah was swallowed by a whale in that Bible story. However, most all translations of the Bible say that Jonah was swallowed by a “big fish”, not a whale. If you don’t believe me, look it up. The story can be found in the book of Hosea. I know many of you thought a whale ate Jonah and so did Burger King because the original name for their fish sandwich WAS the Whaler when it was first offered in the 60’s or 70’s. However, on further review of multiple interpretations of the passage, they too discovered that nowhere does it say a “Whale” swallowed Jonah. So they changed the name to the Big Fish Sandwich. Overall, the product is acceptable and a pretty generous hunk of fish that sometimes seems like almost a little bit too much and maybe more big bun than big fish. Wedwand Rating: 3 Fins. But at 2 for $5 on the current menu, it is the best fish sandwich bargain out there. This is perhaps the most ambiguous description of the source of a fish sandwich Wedwand found. I am not sure how you “wild-catch” fish from a fishery. Is that like shooting fish in a barrel? And, what is “melty” cheese? But, if you get a hot FOF, fresh out of the fryer, it IS a tasty treat. Here’s one piece of advice I have for you consumers out there. Do not try to eat this one in the car, especially while driving. Studies have shown that two out of three FOF’s will undoubtedly ooze tartar sauce out of the opposite side of the sandwich from which you are taking a bite. If you are in the car and try to eat it, that virtually guarantees a white splotch of sauce right on the crotch of your pants. Not a pretty sight. Wedwand Rating: 3 fins. 3.5 If it’s hot. For a poor man’s surf and turf, order a quarter pounder too and wash it down with a glass of Gallo wine. Their Description: Wild- caught North Pacific Cod, hand-cut from a whole fillet … lightly coated in a crispy panko breading and topped with a creamy, dill tartar sauce and crunchy dill pickles. My wife loves the Wendy’s Fish Sandwich and as a seasonal fare, it only comes out this time of year, which makes it even more special now. It has a crispy thin-breaded crust and it looks like an actual fish may have been used to make it. On our recent visit for lunch, they told us it would be a five minute wait. Folks, this is good if they tell you that. Meaning that the fish will be hot, crispy and tasty. Wedwand Rating: 4 Fins. Interesting note, this is the only Fish Sandwich that claims to be from the Pacific Ocean. Now that’s a solid, confident description of what a fine fish sandwich should be. Largely a Midwestern chain, the very first Culver’s was opened in 1984 in Sauk City, Wisconsin. It is required by law that any municipality in Wisconsin with a population of over 5,000 offer a Fish Fry on Friday night regardless of the season. Is it any wonder that Culver’s has the best fish sandwich Wedwand tasted? They are famous for their “butter burgers” which are also delicious, but each time I go, I am hard-pressed not to order the Cod Sandwich. If you prefer, you can just get the Cod dinner without the bun. This is the only chain that offers this option, a testament to the quality of their fish product. Wedwand Rating: 4 ½ Fins If you still have room, add a Heath Chocolate Almond Frozen Custard for dessert (the flavor of the day this Wednesday) and you might make it a 5 fin night. Well, that’s the Fab Five. Wedwand welcomes your input on a favorite fish sandwich you may like to share. Batter up. MARCH MATH & MAPS MADNESS.